We are a country of various ethnicities, all of us drawn here by the promise of freedom that we celebrate on the Fourth of July every year. America has been and still is a place bursting at the seams with uniqueness, diversity, and expression. The Blanton’s updated American Art galleries offer a glimpse into the melting pot of art styles in America from the 1910s to the 1940s. Though the works in this section of the museum were all created in the context of American Art movements, the artists do not all come from America; Russia, Italy, Poland, Japan, Armenia, Egypt and Germany are their countries of origin. Some of these artists immigrated to America to escape the violent warfare and restriction of expression in their countries at this time. Some came to pursue their artistic practices more boldly and freely. 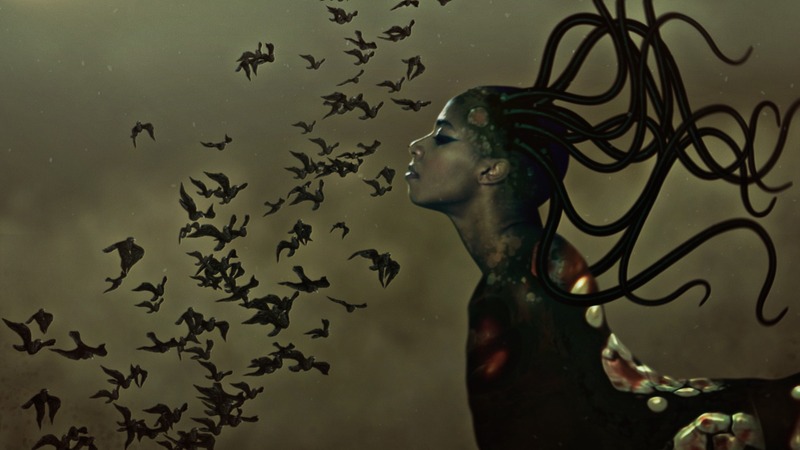 Their various backgrounds offer unique perspectives on landscapes, still-lifes, human figures, social critiques, and more. In honor of the Fourth of July, here are 8 perspectives from the American Art galleries at the Blanton. Though the museum will be closed on July 4th, we invite you to visit the American Art collection another day to be inspired by our country’s rich and diverse heritage. Gorky was a key member of the Abstract Expressionism movement and the first artist in New York to employ surrealist automatism in his work. 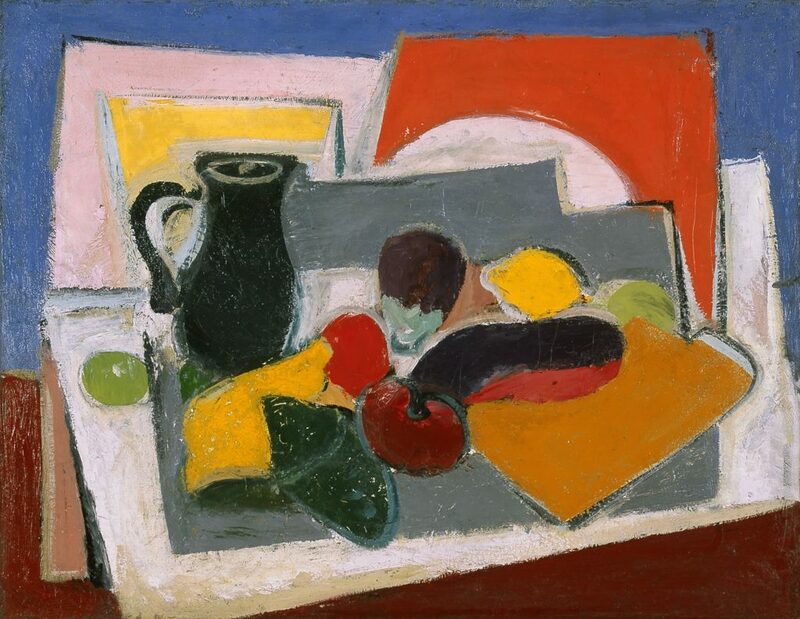 His loose brushwork and ambiguous space define his works, such as this still-life. Gorky’s experiences growing up in the midst of the Armenian Genocide lend both pain and nostalgia to his paintings. Weber’s early experiences emigrating from Russia and learning from American artists, such as Arthur Wesley Dow, established the importance of ‘primitive’ influences in his art. 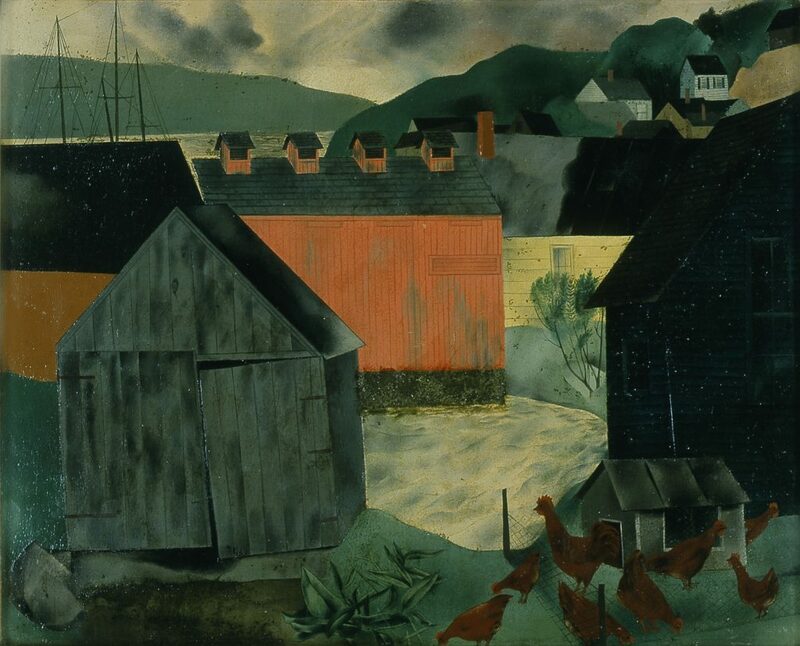 He was one of the first American artists to translate European modernism to American subject matter. 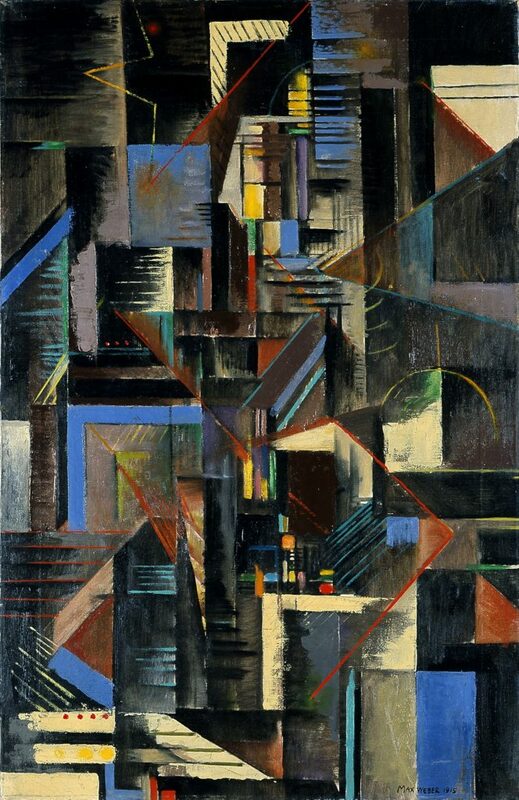 Inspired by the likes of Picasso and Stieglitz, he portrayed New York City’s vibrancy and energy with intersecting planes and dynamic geometric shapes. 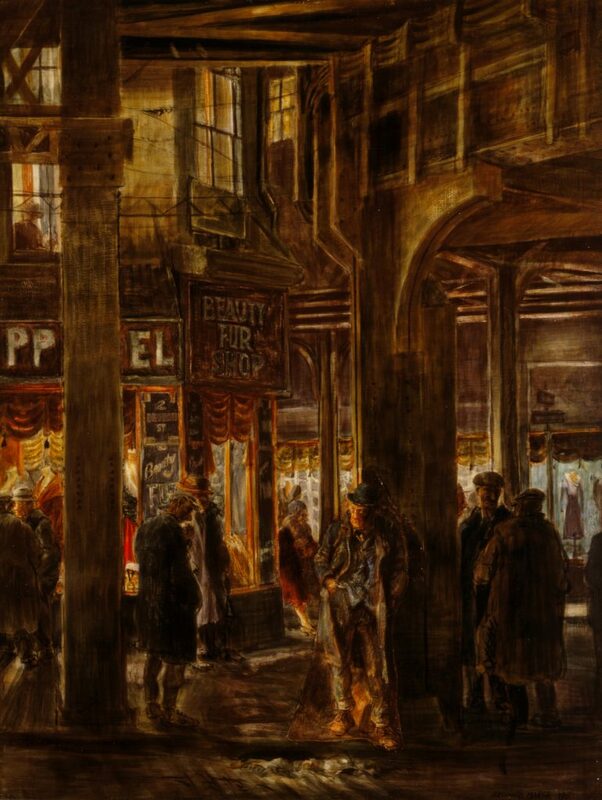 Chatham Square depicts a busy night scene in a commercial district of New York City. The collaged figure, perhaps a waiting shopper or a homeless observer, adds visual and thematic depth to the painting. Marsh saw the beauty in contemporary, urban America. From the bums to the business men, his works were a celebration of city life. Though he was not born in America, his visions of American cities are well-known for their realism and gusto. 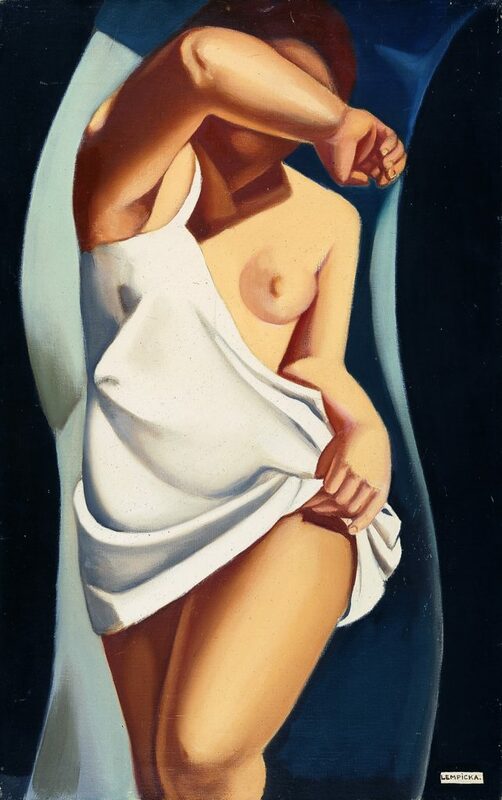 Lempicka painted in an Art Deco style to provide herself with an outlet for her unconventional self-expression. 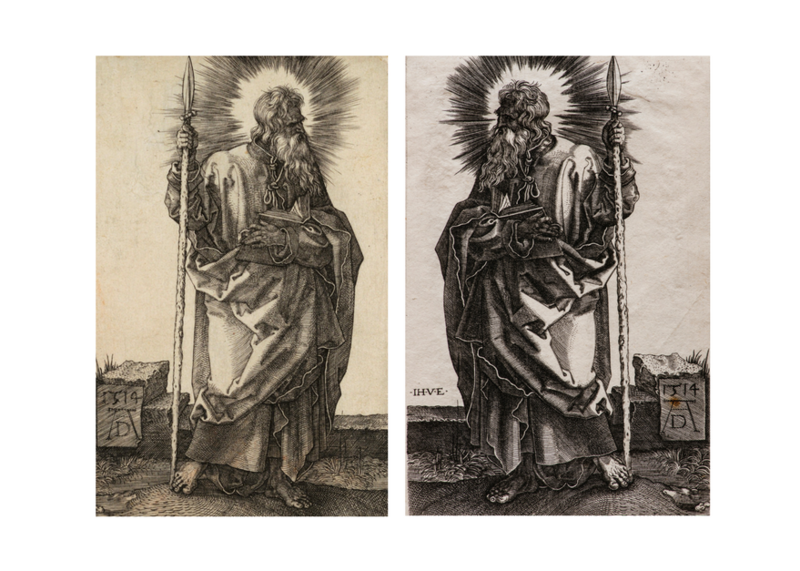 Her love of Italian Renaissance art, sparked during a childhood trip to Italy with her grandmother, informed her work in America. The sharp lines and bold subject matter of her work encompass the lavishness and liberation of the golden age in America between the two world wars. Donati fled fascist Italy in pursuit of his interests in music, anthropology, and painting. He became an important member of a movement of European artists who introduced Surrealism to the American art scene, particularly in New York City. 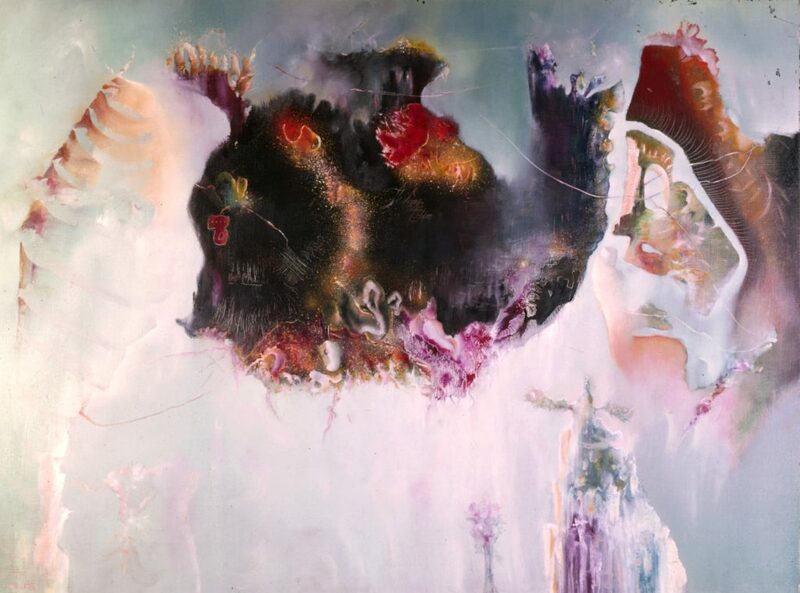 His paintings, like Galera Romana, consist of amorphous formations that float in mystical, undefinable worlds. Blume and his family emigrated from Russia to New York City, where he gained recognition in the American modern art scene by the time he was a teenager. This work is all about balance: the ship rigs against the dark landscape in the background, the harsh architectural forms, and the caged and free chickens in the foreground. His subsequent works of social surrealism also utilized balanced compositions and a sense of uneasiness to rally an outcry against Fascist Europe. When Guglielmi moved from Egypt to New York with his family in 1914, his fascination with the vibrancy of America soon waned when he began to observe the darker side of urban life. 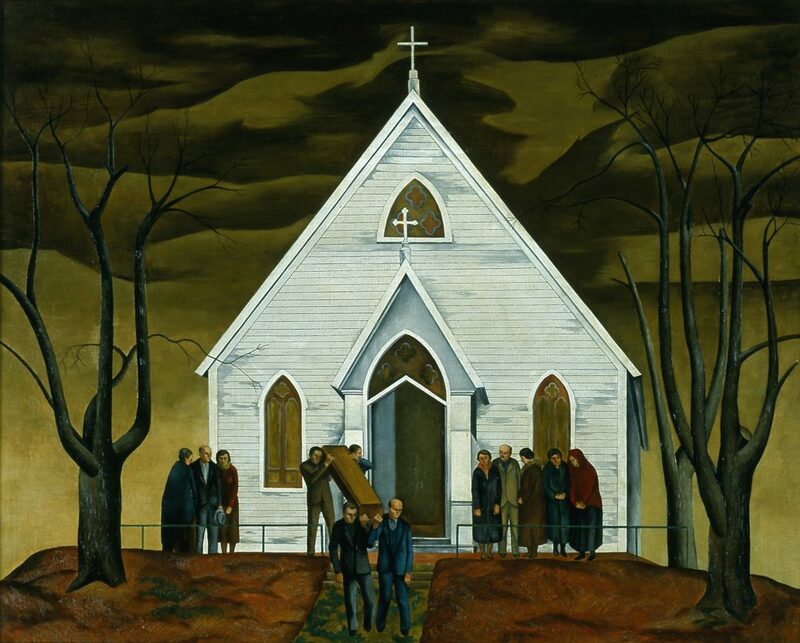 Funeral at Woodford depicts a somber scene, complete with eerily still figures and a dark, arid landscape surrounding them. 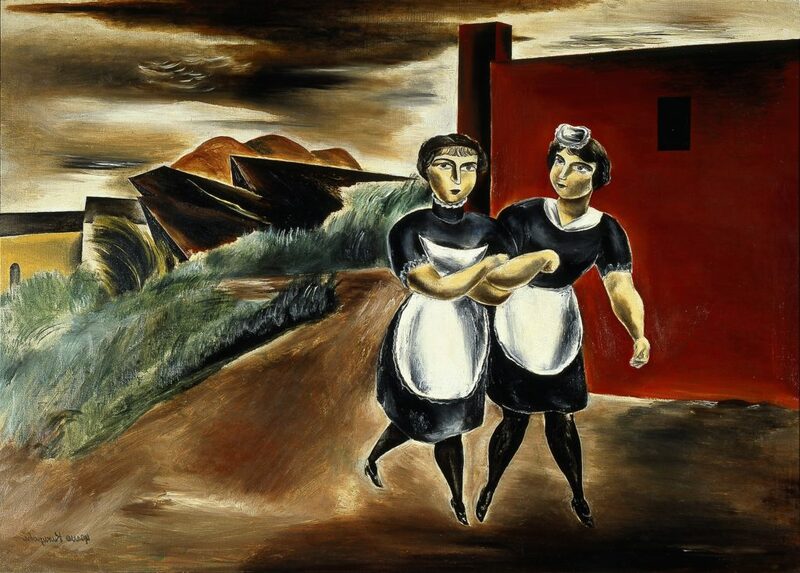 In Waitresses from the Sparhawk, a seemingly innocent depiction of female friendship is overshadowed- literally- by the brooding sky and sharpness of the surrounding setting. Kuniyoshi immigrated solo to America when he was 16 years old. Though he became an incredibly respected American artist, racism and tensions in America during the two world wars meant he often had to grapple with and harmonize his identities. This is an important reminder that despite our cultural and ethnic differences most us love and appreciate the wonder of our diversity. These lovely paintings reflect the beauty that can emerge from casting our creative lots together as a nation of immigrants. Nicely done, Emily Henderson.